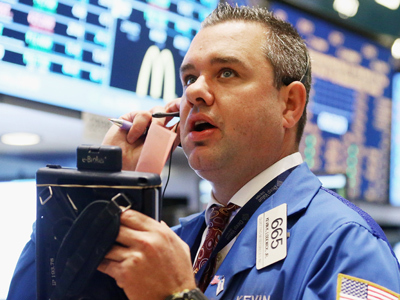 Friday trading is set to be quiet, as investors wait for Saturday’s economic data from China. This is after an effort by Beijing to reverse the downturn by cutting lending rates failed to rejuvenate markets due to lack of clarity on US action. “Today we don’t expect much stats to be released. The most important is the data on exports in Germany for April, which could point to a downturn… This must provide for a comparatively quite day,” according to Mark Brentford, an analyst at BCS. “Investors remain cautious ahead of the key macro data for China to be released on Saturday,” he added. In Russia, Brentford said that following strong growth investors are likely to close their positions ahead of the coming three-day holiday for the country’s national day, starting on Sunday. On Saturday Russian markets will have a full trading session. On Thursday, Russian stocks closed higher, where the RTS added 2.08% to 1,304.11 and the MICEX was up 1.76% to end at 1,336.33. Investors in the country were mostly inspired by the positive news from China, Brentford explained. The Russian rouble was strengthening against the dollar for the third consecutive day, adding 2.38% to end at 32.28. In China, the interest rate on a one-year loan will be cut by a quarter percentage point to 6.31% effective Friday, the Chinese central bank announced. While the rate cut was small, it was the first since November 2008 and it served as a signal to banks, companies and consumers that Beijing approves of more borrowing. China has rolled out a series of measures to stimulate the economy after growth fell to a nearly three-year low of 8.1% in the first quarter and April factory output grew at its slowest rate since the 2008 crisis. Private sector analysts expect this quarter's growth to fall further. Monthly data due to be reported this weekend are expected to show a further deceleration in industrial activity. Anyway, the initial investor optimism was later hampered by Bernanke’s speech in the US Congress. The Fed head avoided sending any signals about concrete further steps in response to a slowdown in hiring. Just 69,000 jobs were created in May, the fewest in a year.Bernanke didn't pledge any new Fed measures, but he didn't rule out future actions. He said Fed officials would closely examine the latest economic developments when they next meet on June 19-20. Japan's Nikkei 225 index fell 2% to 8,471.04. Hong Kong's Hang Seng lost 0.8 % to 18,523.51 and South Korea's Kospi dropped 0.6% to 1,837.19. Australia's S&P/ASX 200 lost 1.1% to 4,062.90. Benchmarks in Singapore, Taiwan, Indonesia, the Philippines and New Zealand also fell. Mainland Chinese shares wavered. Investor concerns remained focused on Europe, where a lingering financial crisis has now infected Spain and its deeply troubled banks, according to Sullivan. The European Central Bank decided to keep its interest rate at 1%, which was largely expected by the markets and didn’t have much effect. Global investors are worried that the recession-hit country can't come up with the money needed to save its banks without bankrupting the government. Expectations are rising that Spain's leaders will have to seek an international bailout for banks crumbling under the weight of bad real estate loans. Spain's borrowing costs have soared close to the level that forced the governments of Greece, Portugal and Ireland to seek financial rescues. As much as €100 billion ($126 billion) may be needed to bolster Spanish banks, the credit rating agency Fitch said Thursday. The rating agency downgraded Spanish sovereign debt by three notches from A to BBB, saying the likelihood of external financial support was rising. 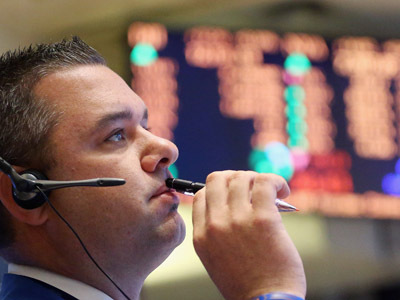 Trading on Wall Street was mixed on Thursday. 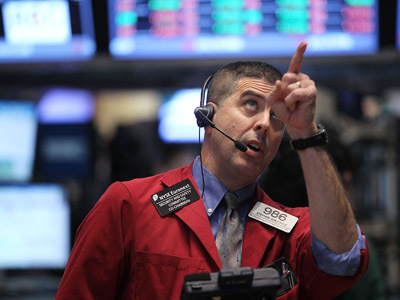 The Dow Jones industrial average rose 0.4% to 12,460.96, with the Standard & Poor's 500 falling marginally to 1,314.99. The Nasdaq composite index fell 0.5% to 2,831.02. European stocks closed higher. 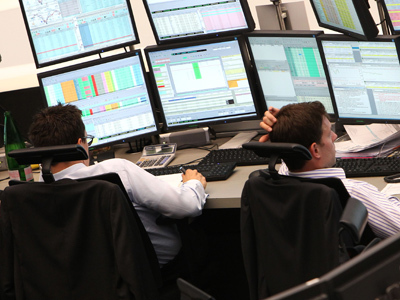 France's CAC 40 surged 3.1% following the China rate cut, the DAX in Germany rallied 3%, and Britain's FTSE 100 added 1.1%.